Cuban-born. interior designer Fernando Diaz combines knowledge gleaned from his extensive travels in Europe,South America and Asia with his formal interior design training to create timeless environments that are unique and specific to each client. "My interior design begins with a focus on clients' lifestyles and then articulates the way they live through the spirit of their homes' spaces. We bring that sense of personality and function to each project to ensure long-lasting enjoyment, livability and grace." Projects range from small homes and offices to grand scale residences and office suites. Completed projects are located throughout the United States. Mexico and Spain. Fernando's clients appreciate his classically rooted designs that incorporate the latest 'au courant' design offerings (without being trendy) along with carefully selected vintage and antique items that yield a fresh modern take on traditionalism. Fernando is committed to design excellence, receiving accolades from his clients as well as his peers. 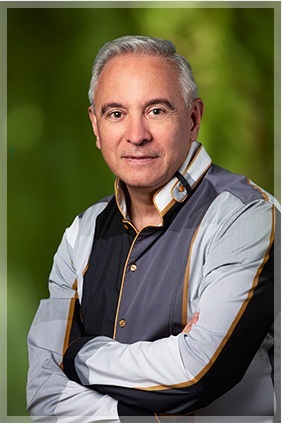 In 1998-99. he served as the President of the American Society of Interior Designers in Los Angeles,winning their prestigious ASID Medalist Award in 2006 for this leadership, which he continues as Chair for many important Chapter initiatives and programs. NEWH, the industry hospitality leader recently honored Fernando with the NEWH Recognition of Excellence award. In addition to participating several times in the prestigious Beverly Hills Greystone Estate showcase, Fernando's work has also appeared in numerous print publications including California Homes, Metropolitan Home, Luxe Magazine and the Los Angeles Times to name a few and on several televised programs including HGTV.